(Newser) – Wildlife officials in Alaska think the same brown bear that killed a solo hiker outside Anchorage also mauled one of the volunteers looking for him. 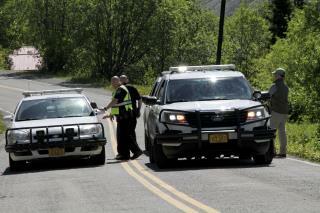 The volunteer suffered serious injuries to his leg but is expected to survive, reports the Anchorage Daily News. The saga began when 44-year-old avid hiker Michael Soltis took off on a solo trek Monday in Eagle River but never returned, reports Alaska Public Media. On Wednesday, one of the volunteers looking for him was attacked by a brown bear, and the search team found the body of Soltis nearby. Hopefully lessons are learned when it comes to bears living in their environments. Never ever ever approach bears, large piles of crap, or Trump supporters. It never ends well. There are names for people that hike in bear country without bear spray or firearms any time of the year, but especially when they have young; one is Stupid the other is Meat.